Have you ever wondered what mistakes industry leaders have made, how they've learned and advice they have for creating a career you love? Then don't miss out on this epic opportunity to join us at the first ever Future Leaders & Entrepreneurs' Xchange, panel power-hour event featuring leading industry ladies. 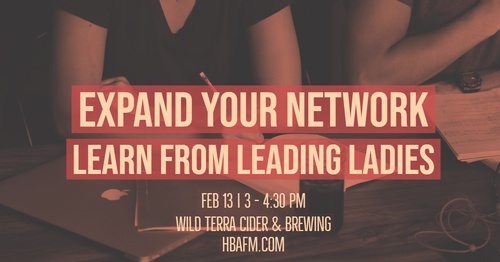 This is a networking opportunity like no other; a gathering of local building industry professionals that gives you access to some of the biggest names in the Biz! All attendees will receive one free drink with unlimited chips & salsa. This event is free to attend, but space is very limited & you must register by Feb. 6 to be sure to reserve your seat. No-Shows will be charged $10. 3 - 3:15pm Grab a free drink! This event is free to attend, but you must register by Feb. 6 to be sure to reserve your seat. No-Shows will be charged $10.